This bacon frosting won't please everyone, but for diehard pork fans, it's probably a dream come true. This bacon-flavored frosting comes in a deep red hue and adds smoky notes to cupcakes, cakes, cookies and anything else. 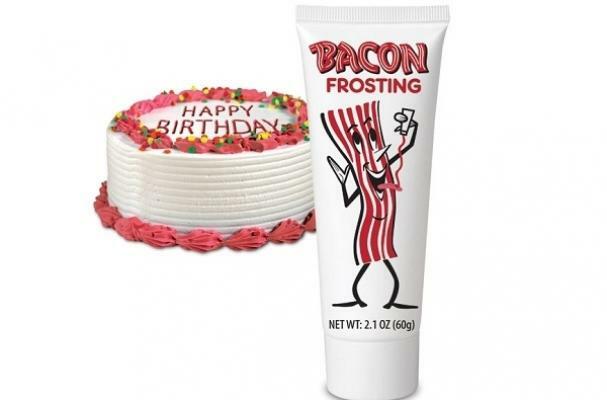 The bacon frosting is available from the NeatoShop for $4.95. Seriously. I need this! I need a bacon frosted donut.... Its my dream ;) where can i find this in London?